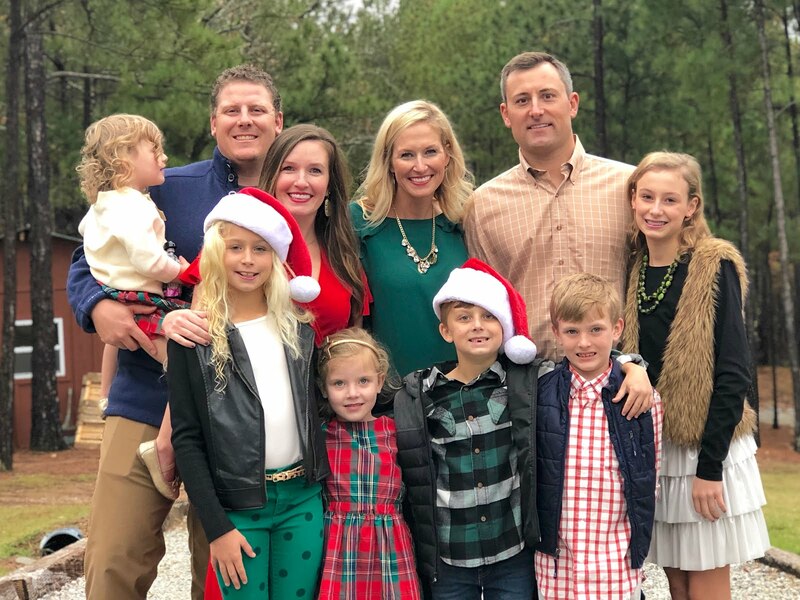 From our families to yours we want to wish you all a Merry Christmas!!!! We are taking this week off to spend time with our families and focus on the true meaning of Christmas. From the bottom of our hearts we would like to say a big THANK YOU to all of our readers, followers, and friends who have helped our blog grow. We absolutely love what we do and have so much fun sharing our little slice of the Internet with all of you. We'll still be over on Instagram and maybe even Facebook this week, so be sure to follow along over there. We'll be back here on the blog next week with all sorts of fun stuff including our January book club post, our 2018 Favorite Moments post and our New Years Resolutions/Goals. Enjoy this special time with your family and friends and we'll see you back here next week! It's nearly Christmas!!! Tomorrow is Christmas Eve and today our holiday festivities begin. We're hosting Christmas this year and I'm so excited about staying in my house all day! It hasn't ever happened for Christmas before so I am pumped. 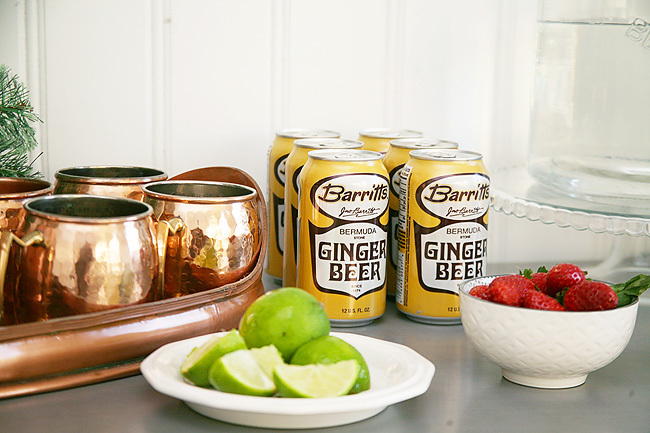 I have a few fun things up my sleeve, but one of them is having a Moscow Mule Bar set up for our guests. I have yet to meet someone who doesn't like some variation of this popular drink. I thought it would be fun to let everyone make their own and try out new combinations or share favorite recipes with one another. 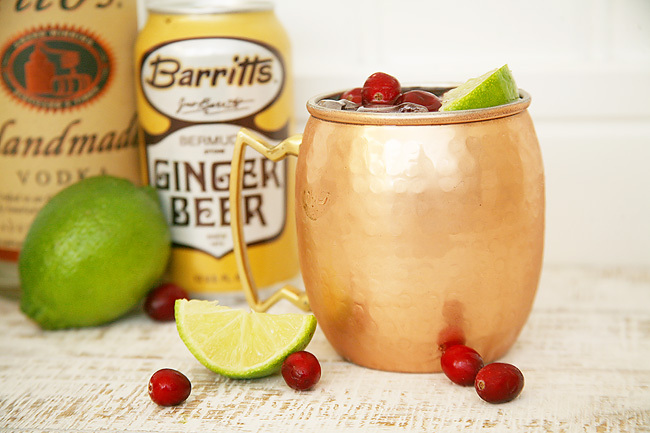 Our love affair with the Moscow Mule began years ago, and we've shared a recipe or two ourselves. 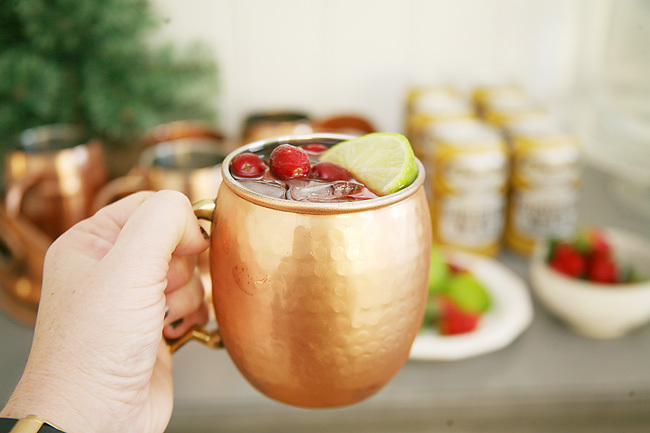 The Moscow Mule Bar itself is super easy to create, and with the drink only consisting of a few ingredients it's a fairly easy entertaining station to coordinate and set up. 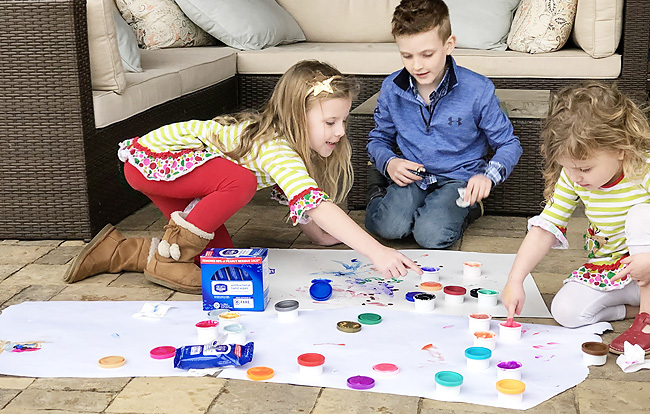 I am chatting about all the details and sharing a new recipe we haven't shared over on Savvy Sassy Moms. 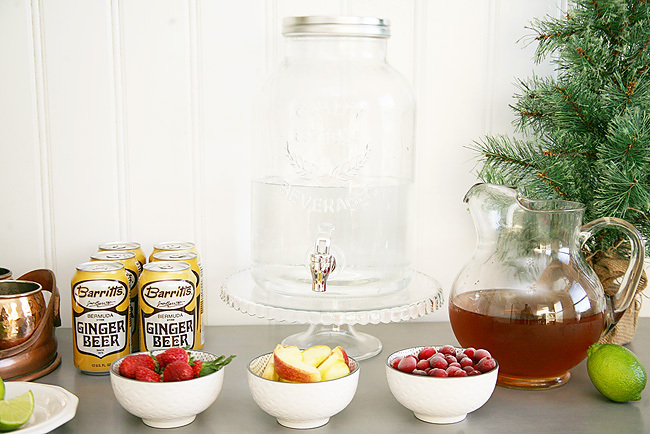 So hop over and see how you can set up a Moscow Mule Bar for your guests this holiday season! Only a few more sleeps until Christmas and this crew is READY! Yesterday was our last day of school before the holiday break and this weekend we are getting ready for the big day. Family is coming into town and we are both hosting. We could not be more excited to fill our homes with all that holiday cheer! Because we knew we were hosting this year, we made sure to wrap up most of our holiday shopping early. 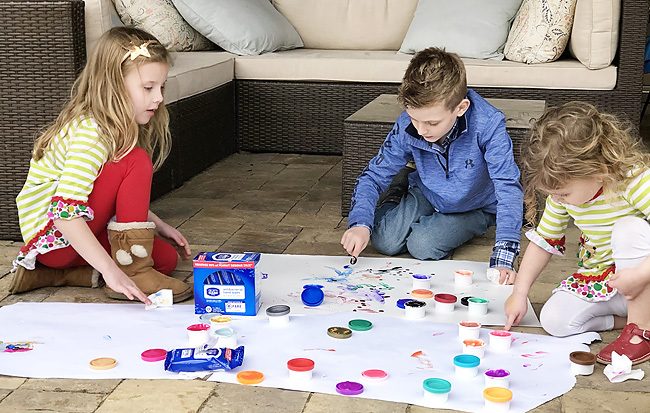 We really tried to take our own advice and minimize the holiday stress as best we could so that the moment everyone was home we could enjoy it! We've wrapped up all our gifts, and now all that's left are the little details. Stocking stuffers is last on our list. We've for the most part got this nailed down, but it's always one of the few things we leave until the end just in case anyone whispers to Chippy the Elf they want something small the last minute. Here are some of our favorite ideas, but share with us if you have anything to add! We have recycled a few of these over the years and are looking for new inspiration. Bonus points if you have any ideas for older kids! Reading - We usually try to throw in a book or magazine. Something for them to read and enjoy maybe once the newness of all the toys winds down or if they are looking for a quieter moment. 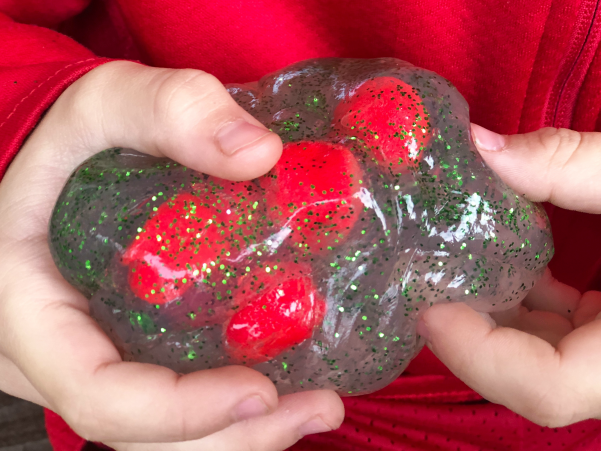 Sensory Play - We try to throw in a small Playdough or some fun slime or putty to play with. Pouch Snacks - Our kids love the Slammers Snack pouches! Packed with protein and some good fruits and veggies - the kids don't realize that they are a snack that's actually good for them. They just think they taste great and that they are a treat. 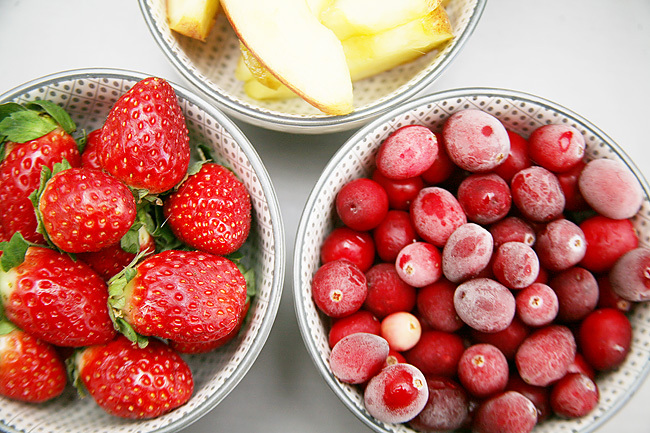 They are perfect as a Christmas mid-morning snack or can be saved for to get them through that awkward in between lunch and dinner meal that tends to throw the whole day off. Lip Balm - All of our kids from toddlers to teens love lip balm. So we snagged fun holiday themed lip balms, and for the tweens we threw in some fun lip glosses (Our favorite lip glosses for tweens/teens are on sale right now!). Notebooks - Fun little notebooks or activity books always make for great stocking stuffers with our crew. They come in handy when they have down time in the car, in restaurants, on the bus, etc. Trading Cards - Pokemon and sports cards are a big hit here for the Elementary aged crew. They are always trading on the bus or on the playground so a new pack or two in their stockings is the way to go so they have new ones to trade when school is back in session. Toothbrushes - A treat or two is bound to be eaten that day...so just a hint right? Might as well throw in some floss and some toothpaste while we are at it. Mini Balls - Our kids all are into sports and we've found the mini-balls are perfect entertainment no matter what sport they are into. We throw them in their sports bags and if they are at a tournament or competition and have down time they are a great way to quickly (and with minimal damage) entertain them and their teammates. Mini Nerf Guns - While Nerf guns and darts are the bane of our existence (#stopshootingmommy) our kids love these mini ones. Gift Cards - This goes without saying, but gift cards regardless of age are a huge hit. We try to get ones in small denominations (think $5-$10) to either their favorite fast food places, Starbucks, or for iTunes. They think they are so grown up when they pay for things themselves. 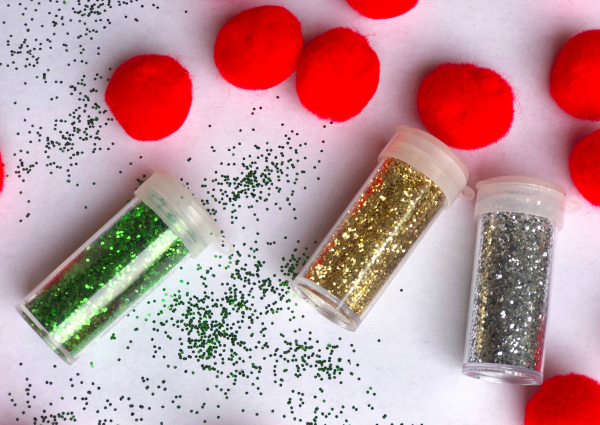 What are some of your favorite non-candy stocking stuffer ideas? Thank you Slammers Snacks for sponsoring this post. All thoughts and opinions are our own. Thank you Happy Cards for sponsoring this post. All thoughts, ideas and opinions are our own! Just a few more days until Christmas and shopping days are running out! Are y'all done shopping for everyone on your list? Still have a few last minute gifts to purchase? If so, we have the perfect idea for just about everyone on your gift list. We were recently introduced to Happy Cards and think the idea is brilliant! Each gift card can be used at several different retailers and restaurants. One card, lots of options! From Happy Lady to Happy Kids and everyone in between, it makes buying the perfect gift so easy. 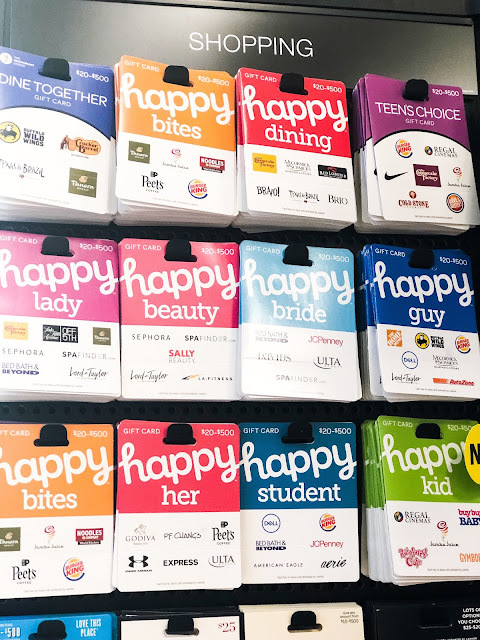 We found these gift cards at our local grocery store and if you click HERE you can see all of the locations where you can find Happy Cards. 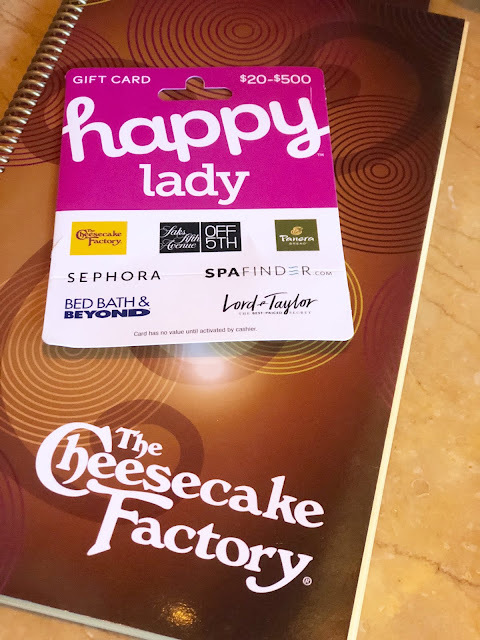 We tried out the Happy Lady card and Happy Ladies were we! We met up on Monday to take a break from all of the holiday hustle bustle and decided a little girlfriend time was in order. 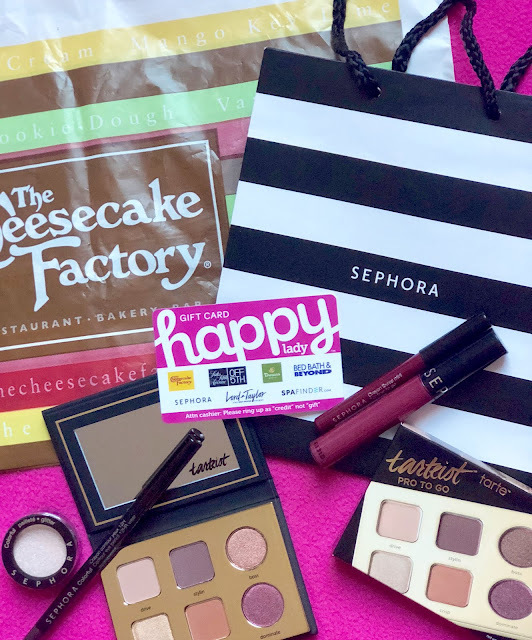 We picked two of our favorites from the Happy Lady card options and had the best time! 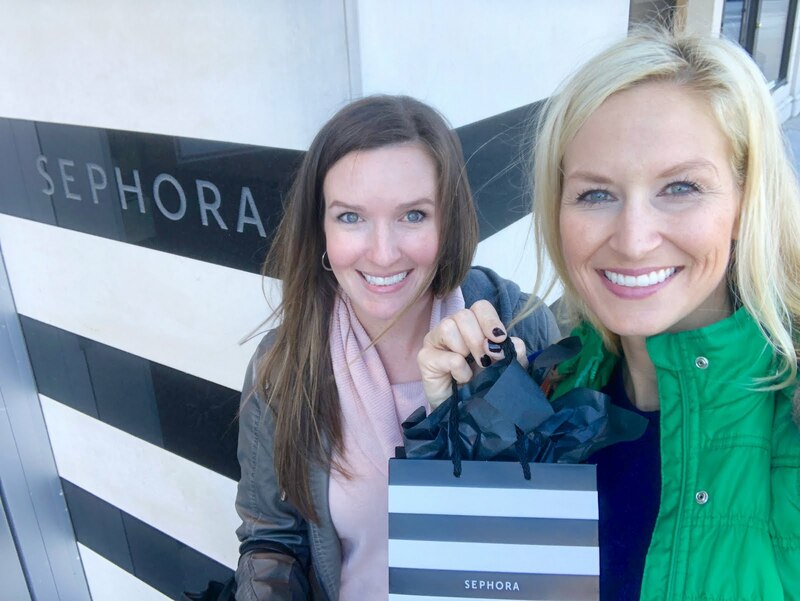 First we shopped at Sephora and checked out all of the new makeup trends. Lots of sparkle, glitter eyeshadow, lipgloss, highlighter and new eyeliner. 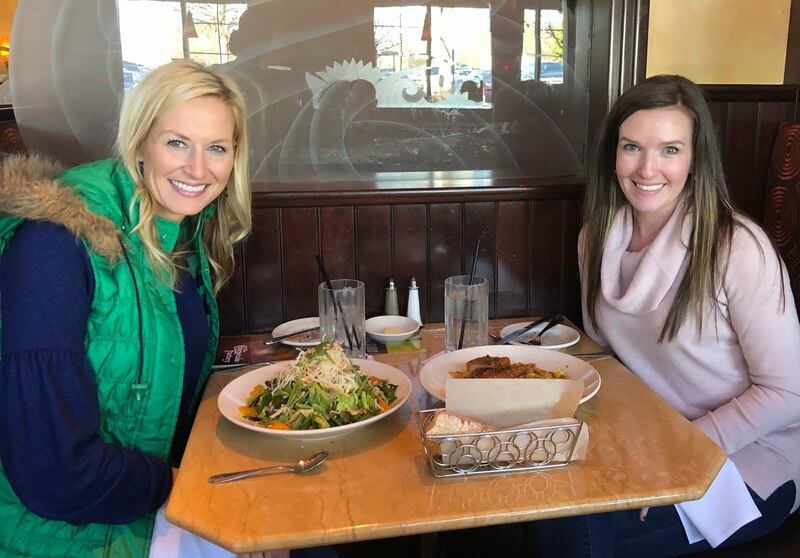 After making our final decisions we made our way to grab lunch and one of our favorites, The Cheesecake Factory. It was so great to catch up, have some girl talk and eat some yummy food. It certainly made our Monday one of the best ones we have had in a while and was a great way for us to take a little time for ourselves during this crazy busy season. 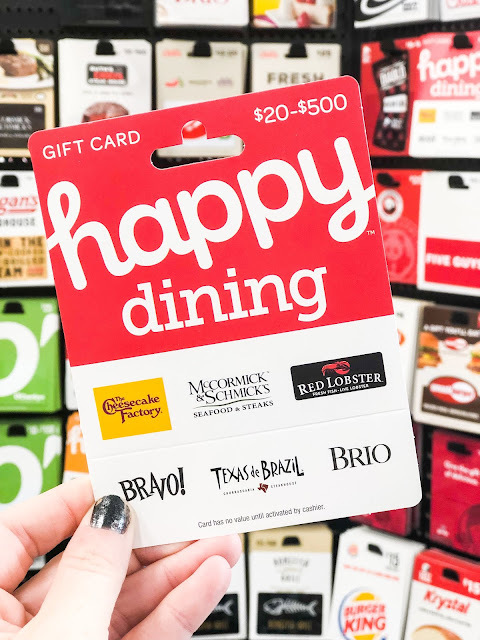 We love to receive gift cards and we know lots of other people do, too. If you still have last minute gifts to buy, let your recipients get what they really want and and avoid the stress of searching for the perfect gift. Get happy, give happy! 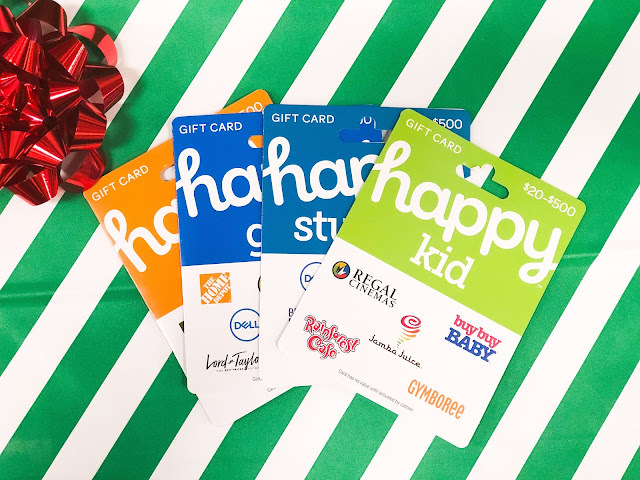 These gift cards give them choices and allows them to choose how they want to spend it. We are so happy to be giving away a $100 Happy Lady gift card to one of you lucky ladies. You can have a best friend date, just like we did, or use it all on yourself! The choice is yours! 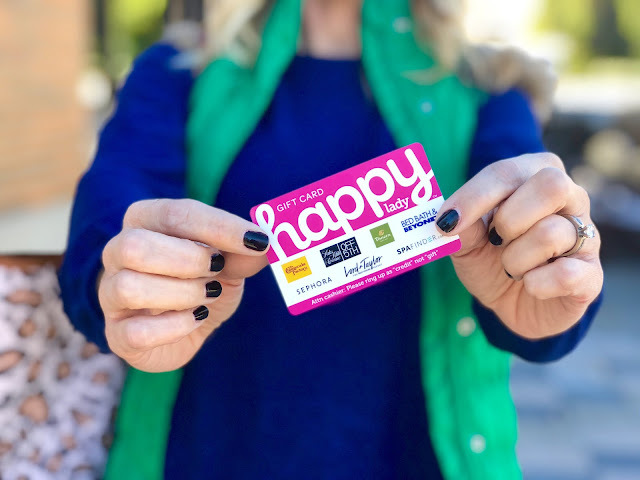 Just leave us a comment letting us know your favorite retailer or restaurant from the Happy Lady card. For additional entries head over to our Instagram and Facebook page later today! Slime...we just don't get it, but the kids absolutely love it. 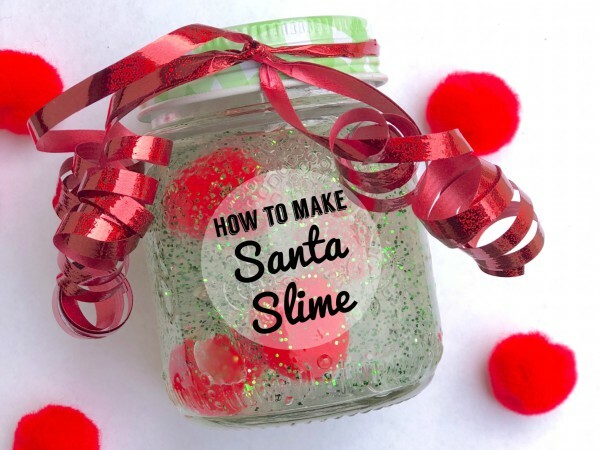 When my kids ask to make it the answer is usually no, but I decided to be a nice mom and let the kids make some Santa Slime last week. It was a big hit and something they will probably end up playing with all of Christmas break if I had to bet on it. Some clear slime, some fun mix-ins and I was declared the best mom ever! 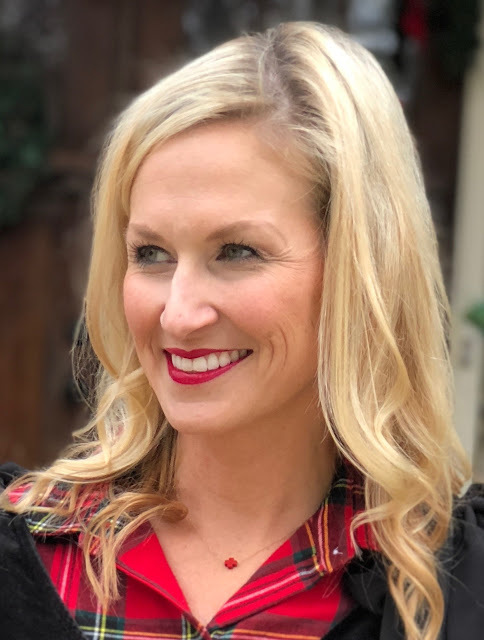 Check out all the details on Savvy Sassy Moms today! 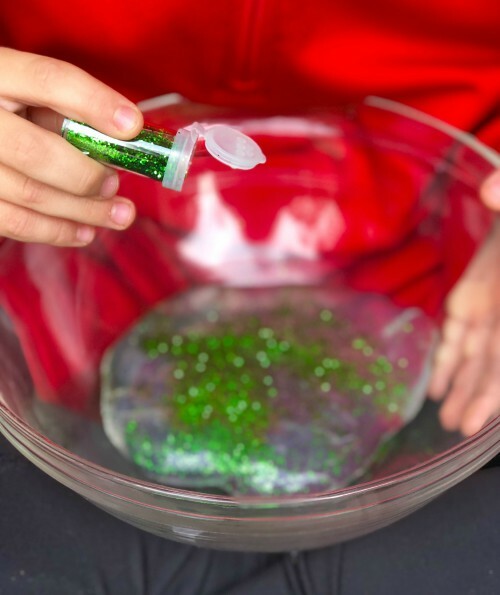 Do your kids love to play with slime? Kids are messy. There's no way around it. For someone who tends to feel a certain level of anxiety when it comes to mess, I've somehow managed to embrace my tiny messy humans. In fact, I've learned the messier the situation, the happier kids seem to be. Sometimes that's a good thing...and sometimes it sends my inner OCD for a major loop. 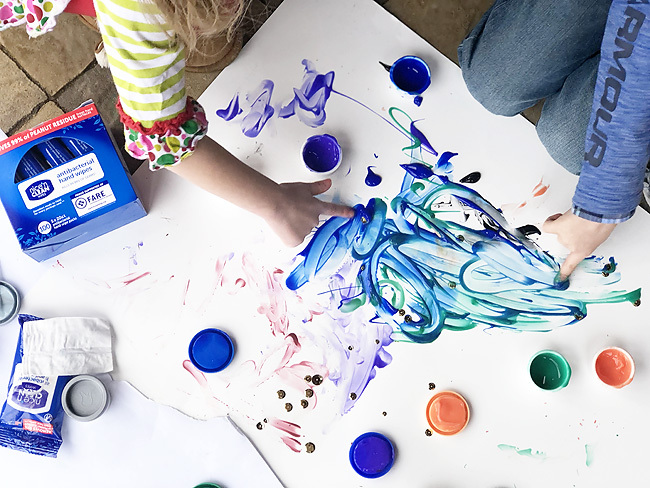 For example, supervised finger painting - messy, but fun messy. Unsupervised attempt at making pancakes, with syrup, not so fun messy. That kind of messy requires a date with a shop vac, wipes, and a large glass of wine. You get the idea. I use them anywhere for everything. 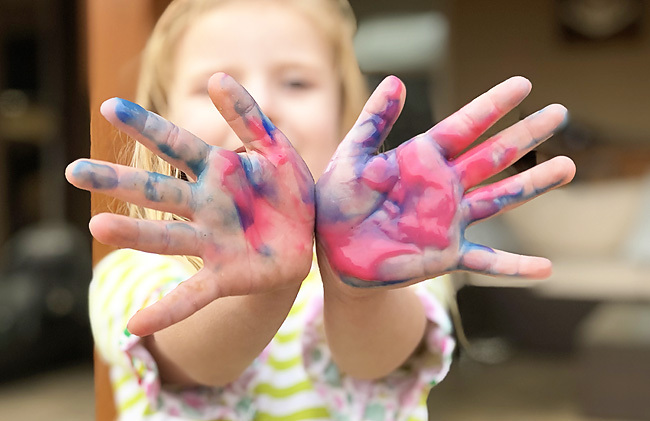 Wipes are just so much more effective at cleaning messy little hands and battling germs. When it comes to sanitizing, wipes can remove dirt and soil in one quick swipe. Not something a sanitizing gel can do. I like the reassurance of knowing that I'm really getting everything clean - especially when wipes kill 99.9% of germs and about 80% of common infections are spread by hands. And guess who gets those yucky germs after a tiny cute little set of hands touches them? The mom. The mom always manages to get those germs. So long live the wipe! My favorite all purpose wipes are these Nice 'n CLEAN Antibacterial Hand Wipes. I usually stock up on the 5x20ct. Family Value Pack at CVS. 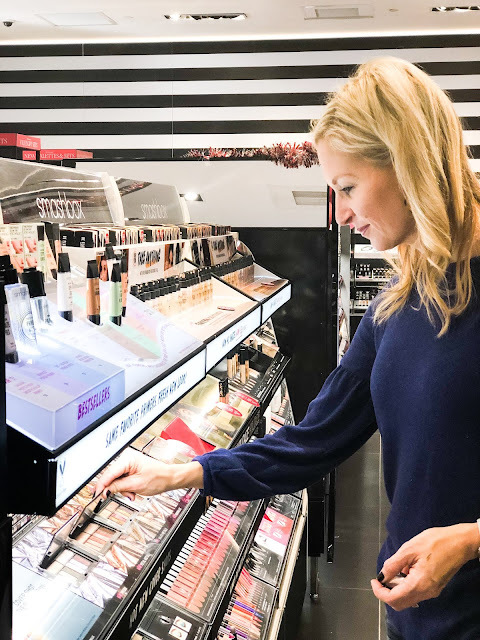 They are available at a lot of major retailers, but they are located in the allergy section of CVS so I can quickly grab a box or two when stocking up on our allergy meds or on our way to pick up our prescriptions. I also love that Nice 'n CLEAN wipes are natural. 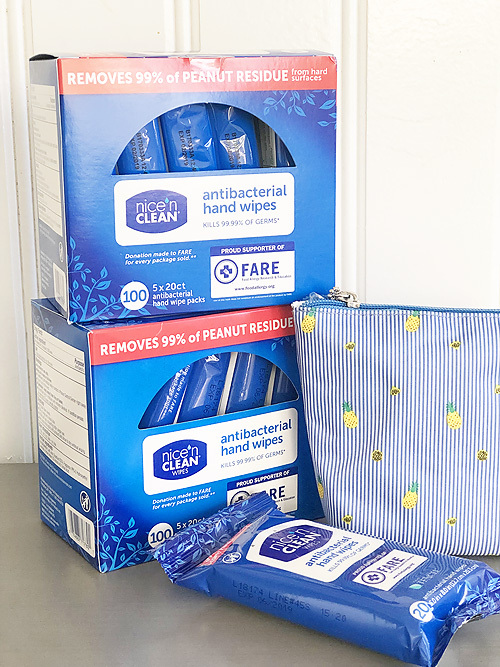 For the last 61 years, Nice-Pak, has worked on being the leader in the wipes market, and they created Nice 'n CLEAN wipes with TENCEL, a 100% plant-based fiber, and gentle formulas. So I can wipe as often as I like knowing they are safe to use on the sensitive skin of my precious little messes. Not to mention, I think it's amazing that the Nice 'n Clean wipes have been proven to be 99.9% effective in cleaning peanut residue from hands and hard surfaces. They've partnered with FARE (Food Allergy Research Association) to donate 1% off all proceeds to support their mission of allergy safety and inclusion. 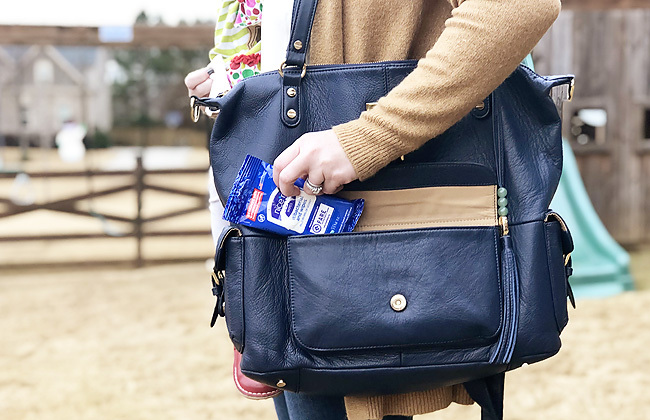 We have so many friends with children that have peanut allergies, and almost every year in school there's been at least one fellow student with the allergy. It is reassuring to know that we can use the wipes knowing we are helping in some small way to protect those sweet little ones. I've shared before that one of my favorite mom-hacks is having little prep kits stashed everywhere. 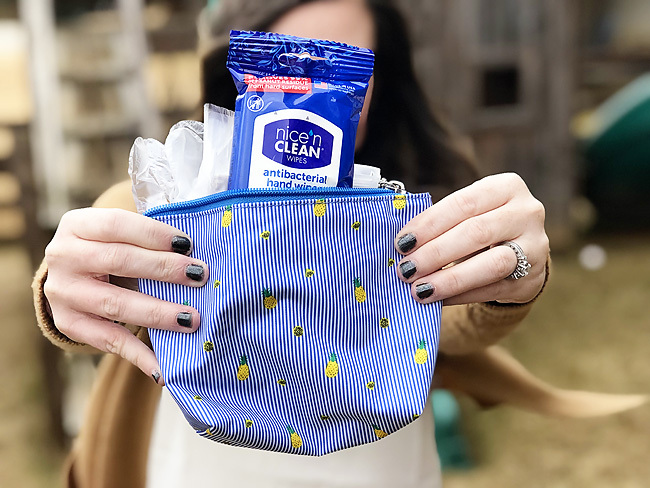 Whether the kids and I are traveling, headed to the park, or hosting a playdate I always have a special "clean fun" kit with me. The kit is so simple to put together. 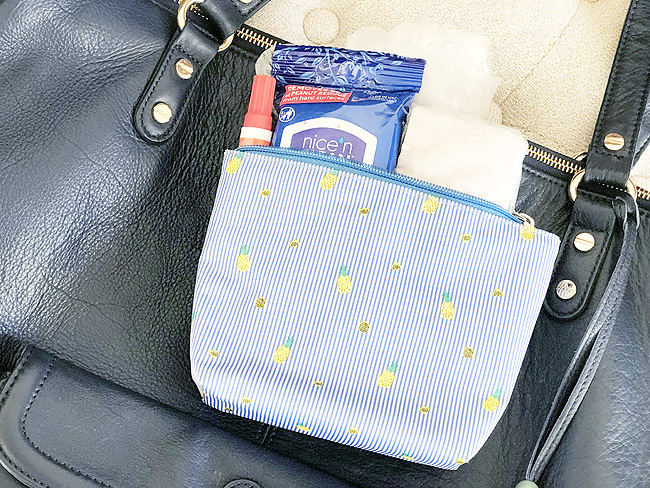 I grab those mini zipper cosmetic pouches I always seem to accumulate (they are so easy to throw in a diaper bag or purse! ), and put all my essentials for battling any sort of mess or germ that might occur during playtime. The Nice 'n CLEAN wipes are my number one addition. Not only do they have superior antibacterial capabilities, but they are the perfect little size to easily throw in the kits. A stain pen - If you've ever been to a playground or have eaten with a child you know this is a must! Disposable gloves - Because sometimes it's a code red mess. Hair ties - To keep hair back out of paint, mud, etc. A travel size baby powder - To keep the sand in the sandbox! Sprinkle on your little ones skin and it makes sand clean-up so much easier! A gallon sized baggie - A multi-purpose essential. 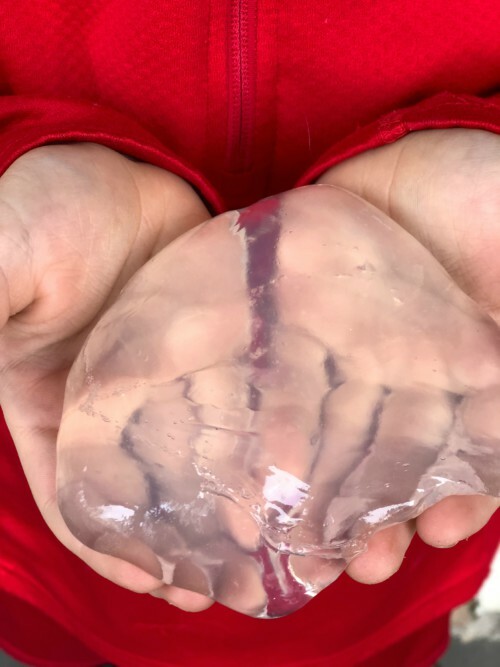 It can either hold special treasures your little one finds on the playground, or store wet socks and shoes from an impromptu puddle jumping session. Tissues - These need no explanation, but they tend to also serve a multi-purpose function. While I would love to have a germ-free perfectly clean little world, I know that my messy care-free and oh so cute world is one I am much happier to live in. There's so much more joy in letting kids be kids and embracing all that comes with it. 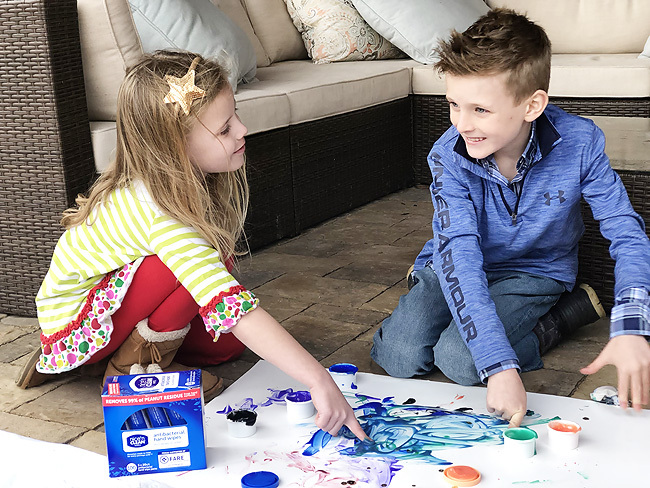 With my kit as my back-up, I can quickly wipe away all the mess, but know those joyous giggles and sweet memories will remain. 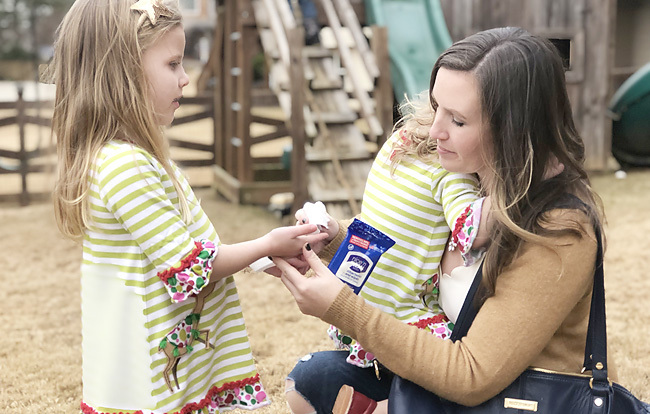 Now learn more about Nice 'n CLEAN Antibacterial Hand Wipes and see how you can get prepped for all that messy fun headed your way mamas! What would be the number one item in your "Clean Fun" kit? The countdown is on! Christmas is TEN DAYS AWAY! We've been on holiday overdrive lately. If you see us running around with powdered sugar on our faces, remnants of wrapping paper stuck to us, or a trail of glitter in our wake give us a little grace. Because we have been doing all the holiday things. Topping the list has been baking (ahem, and eating) holiday treats. 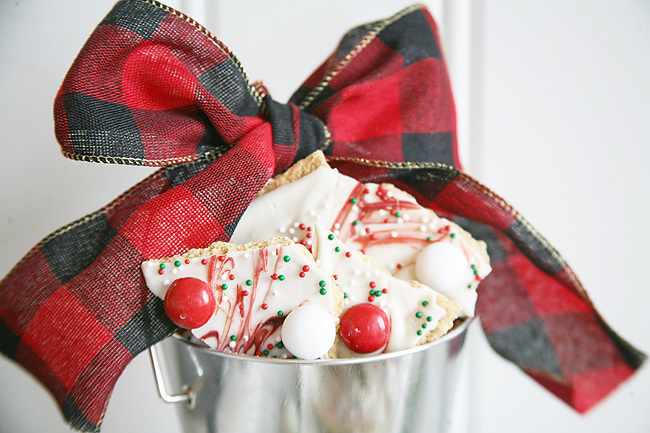 We've love gifting tins of holiday treats to friends and neighbors this time of year. 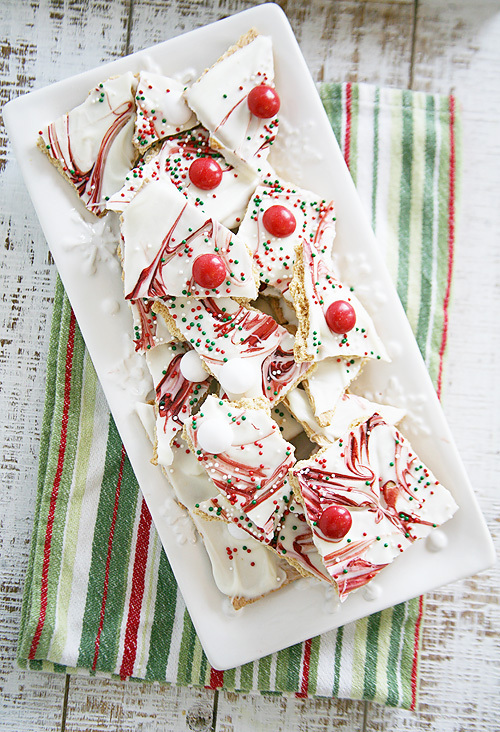 We have a variety of go-to recipes that we usually make, but a crowd favorite has to be this Christmas Bark. 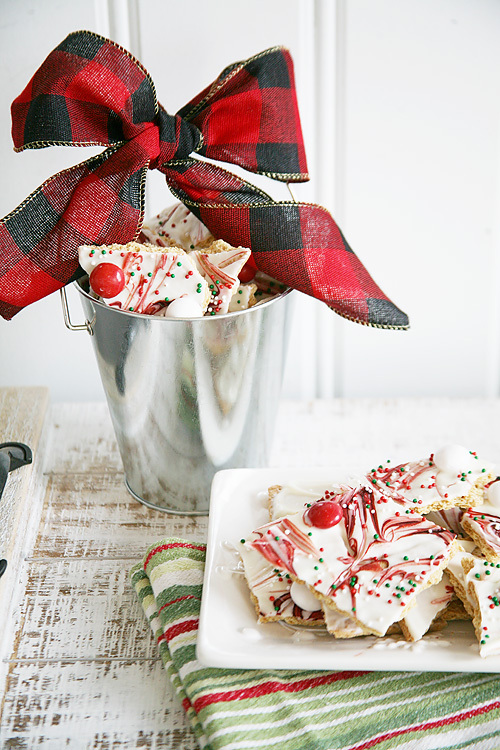 This Christmas Bark recipe is seriously THE BEST! It looks pretty, but only takes a few minutes to make (a huge bonus if making large quantities!). It really is so easy that the kids can actually do it themselves. It has just the slightest hint of peppermint to it, and the minute you put it in your mouth you know you're going back for seconds. Okay...the whole tin. Make yourself an extra batch. This year we delivered our treats in these adorable mini tin pails. 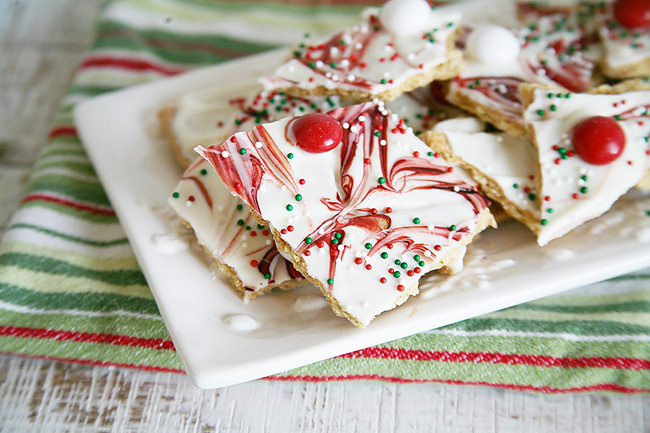 To see more details and grab the full recipe of THE BEST CHRISTMAS BARK head over to Savvy Sassy Moms. 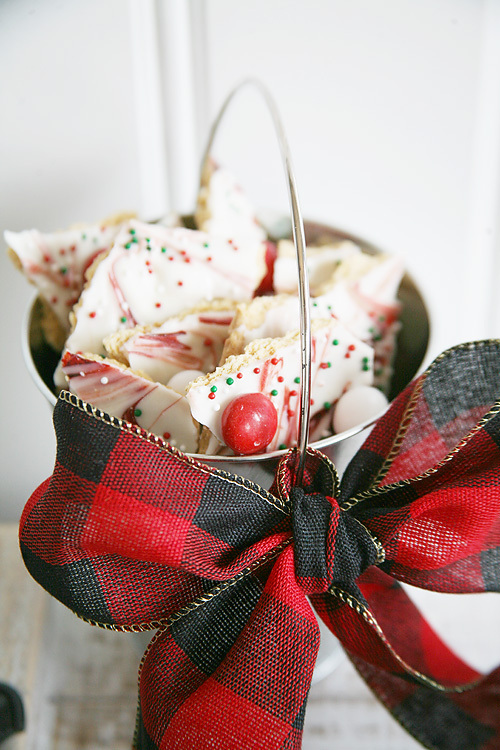 What are some of your favorite holiday treat recipes? We're looking to add a few more to our baking list before the season is over. Bonus if it has peanut butter in it. Christmas is on our future, but those Halloween Reese's are still fresh on our minds! Thank you FitFlop for sponsoring this post. All thoughts, ideas and opinions are our own! This time of year is full of holiday parties, gatherings and get togethers. We love any chance to dress up, go out and be glam so we take full advantage of this time of year. Whether your event is formal, casual, or somewhere in-between, it is still fun to add a bit of fancy to your style. 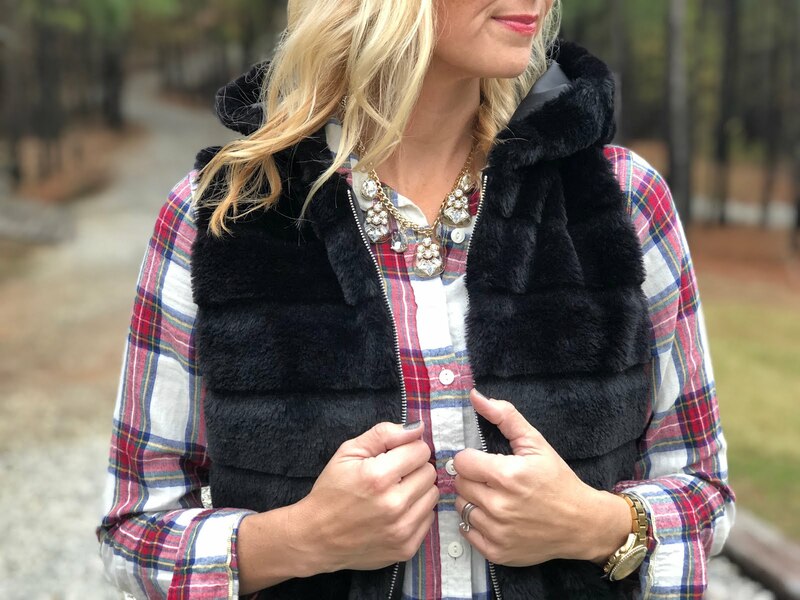 Today we're sharing five easy ways to add glam to your holiday style. We usually both tend to lean towards a more neutral lip, but recently we've been upping our lip game and it has paid off in a big way. We can't think of anything more glam than red lips! We have gotten SO many questions about this lip color since we first wore it at the Taylor Swift concert and we've used it so many times since then. Well we also discovered this red lip ink that has staying power like none other. It lasted 8 hours and through meals and drinks and was still on! Highly suggest this one, too. Color is Pioneer. Metallics are so on trend right now and there are tons of ways to add it into your wardrobe. Perhaps the easiest is with shoes. 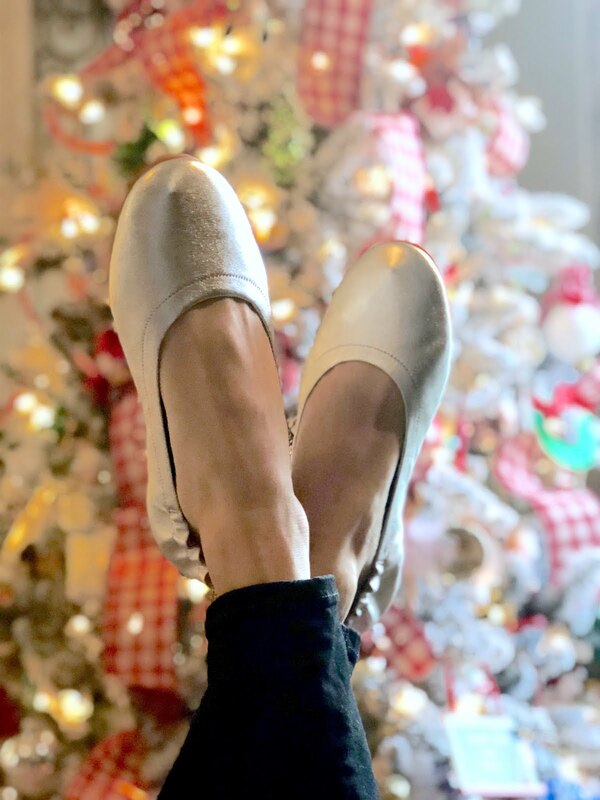 We love these gold and silver ballet flats from FitFlop for a comfortable option! Fit Tip - These run a bit large, so size down a 1/2 size. Metallic skirts are also a fun way to dress up add some glam. This one came home with me and you won't believe where it is from! It will definitely be making an appearance this holiday season! Fit Tip - I usually wear a 4, but these are sized S, M, L so I sized up to a Medium. Who doest love to sparkle! 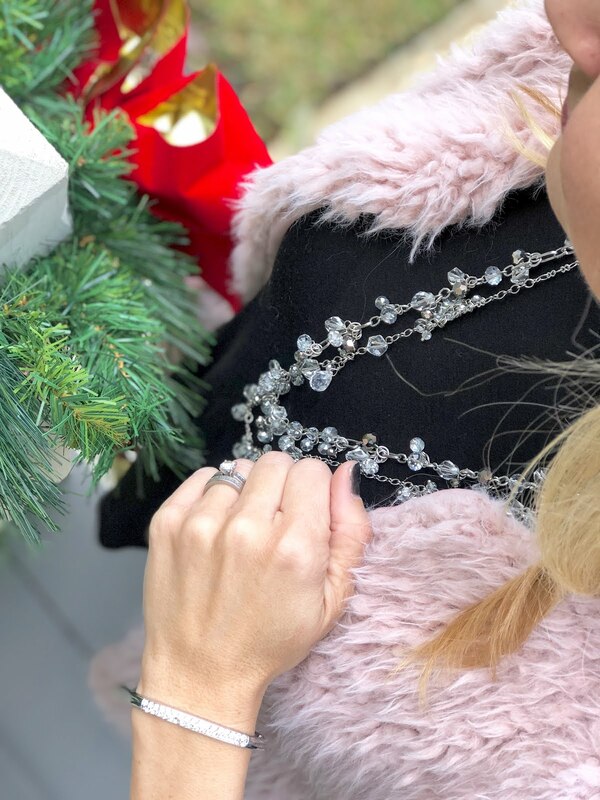 While we would love to be iced out in the real thing, costume jewelry is just as fun and sparkly and obviously much more in our price range. From fun earrings to a sparkly necklace or bracelet...even just adding a one piece can dress up a plain tee-shirt. 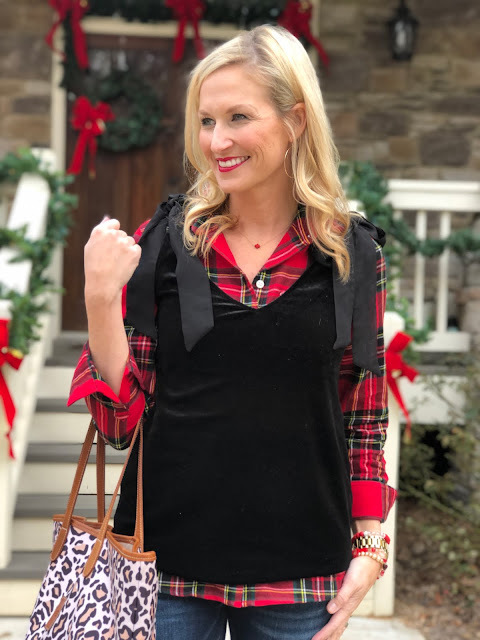 Whether it is a bag or a fun vest, adding one statement piece makes a simple outfit look pulled together and festive! 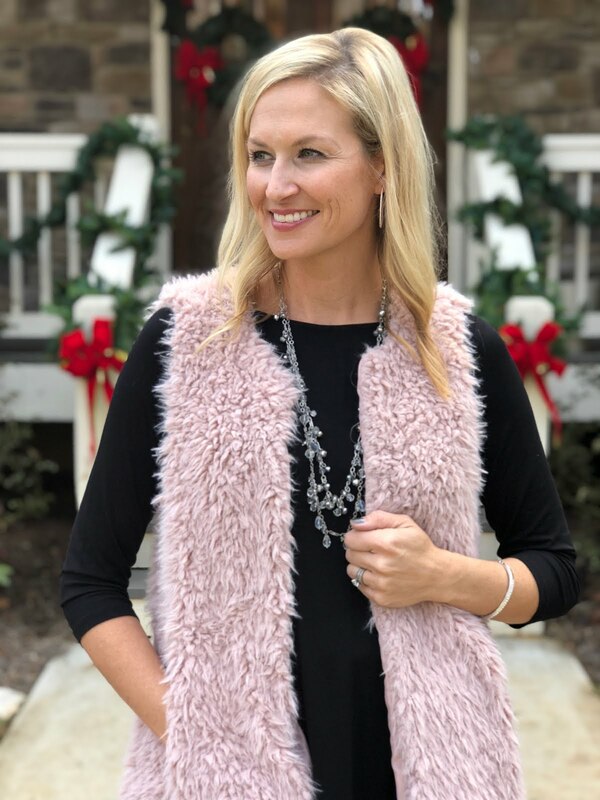 We love these faux fur vest and think they add just the right amount of glam to an otherwise a simple outfit. If you can't wear sequins during the holidays, when else can you??? Sequins are always a fun way to add some holiday sparkle to your life and we also love little details like bow tie shoulders and rich velvet fabrics to make things more glam! Some of our very favorites are these sequin pants (on sale for $30)! And this adorable bow velvet top. I have this top and have gotten so much wear out of it already this holiday season. Fit tip - The velvet top runs large, so be sure to size down! I'm usually a small or medium in tops and got an XS in this one. What is your holiday glam style?? ?